Created and Marketed one of the most fashionable Jersey Trends of the Decade, which started a pandemic of jersey wearing across the nation. 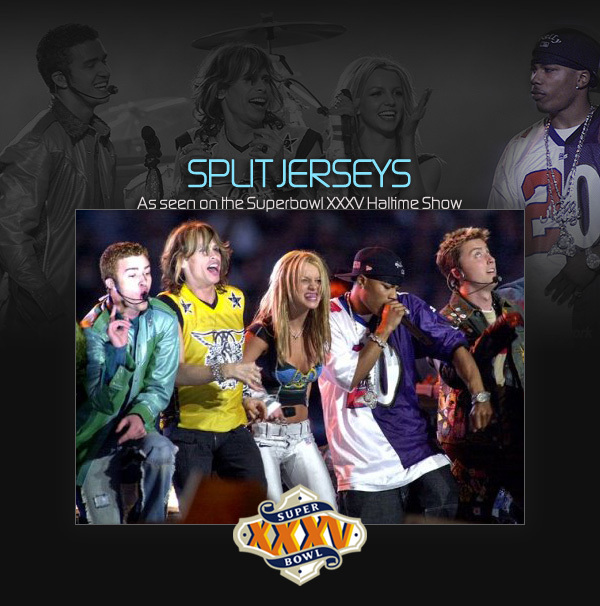 Hip-hop super star Nelly’s performance debuted the split jersey during the 2001 Super Bowl Halftime show alongside Justin Timberlake, Britney Spears, and Aerosmith. This provided the catalyst to one of the decade’s most burgeoning fashion trends. We Created and Marketed a fashionable Jersey Trend which started a pandemic of jersey wearing across the nation. A jersey style which reinvented a fashion trend that could be worn by sports fans as well as fashionable individuals. 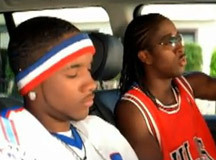 Created further concepts on the initial split concept including R&B group B2K’s Front/Back, 4-Way Jordan, and other various forms.